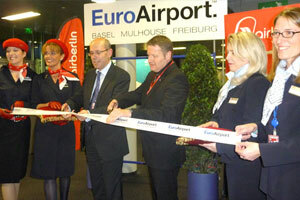 EuroAirport Basel Mulhouse Freiburg has potential for routes from a number of European cities as well as substantiated long-haul services from nearly all corners of the world. Either Swiss or French traffic rights can be used to the airport in the wealthy area on the Swiss/French border – a stone's throw from Germany. Novartis, one of the world's largest pharmaceutical companies, is headquartered in the city whose most famous son is 16 Grand Slam winning tennis player Roger Federer. 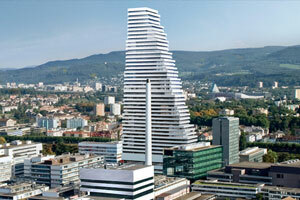 Local business is thriving and the new skyscraper at the major pharmaceutical company Roche's headquarters will soon dominate the Basel skyline. 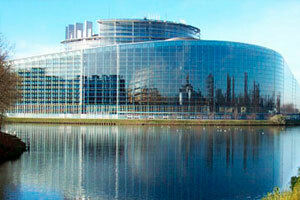 EuroAirport also provides easy access to Strasbourg, the primary seat of the European Parliament. Meanwhile, the Swiss watch-making industry makes Basel the logical location of the annual BaselWorld watch and jewellery trade show, which attracts 100,000 international industry visitors, and local companies have made EuroAirport one of the world's foremost private aircraft maintenance and completion centres. 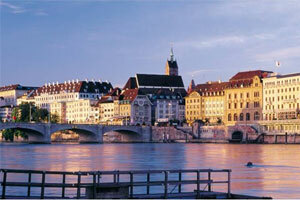 Located at the centre of the tri-national Bio Valley stretching from Basel (Switzerland) to Strasbourg (France). The region has the second-highest concentration of successful life-science businesses in the world. 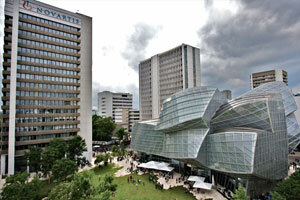 Roche and Novartis, two of the world’s largest pharmaceutical companies, are both headquartered in Basel. Alongside the pharmaceutical, biotechnology and medical technology businesses, the region boasts companies like Sygenta, Lonza, Ciba, Actelion, Clariant, Huntsman, Peugeot, Liebherr, Timken, Clemessy etc. UBS, the world’s largest asset manager, and the Bank for International Settlements (BIS) have their headquarters in Basel. Besides financial services, which include insurance, private banking and risk capital companies, leading IT organizations also offer their services in the catchment area. 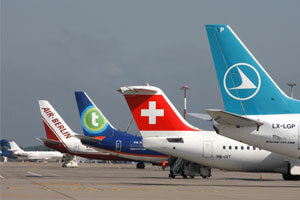 EuroAirport Basel–Mulhouse-Freiburg has in recent years developed into one of the largest and most advanced aircraft maintenance & completion centres in the world. 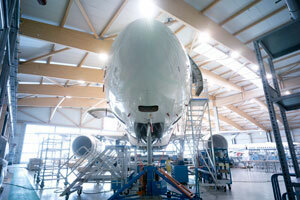 Air Service Basel, Amac Aerospace, Lufthansa Technik and Jet Aviation have developed and grown their businesses by constructing new hangars equipped with the latest installations and technological innovations for private aviation. 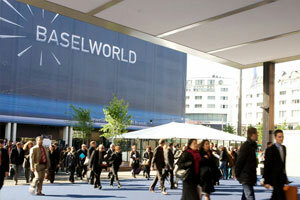 An abundance of world class business events, conferences, fairs and exhibitions: Art Basel, Basel World etc. 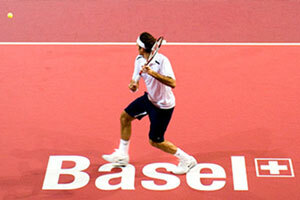 Basel is the biggest and most important exhibition location in Switzerland with exhibition venues in the heart of the city, managed by MCH Group, a leading international live-marketing group. Tourists are drawn to the catchment area by the beauty of the Black Forest, the picturesque towns of Alsace, world-class skiing in the Swiss Alps and the many events, such as the annual rock music festival Eurockéennes, attended by over 100,000 people. 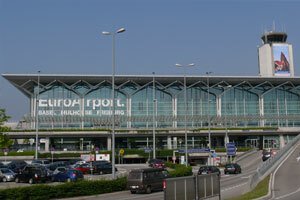 EuroAirport is at the edge of and the gateway to two famous regions; the Black forest in Germany and the Alsace in France, which border Switzerland. The Black Forest has 12 million overnight visits a year, being one of the most varied, but also biggest and best known holiday regions in Germany. 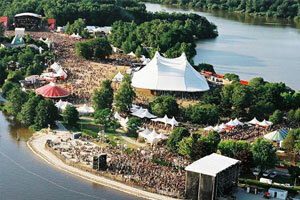 It is famous for Black Forest gateau, Bollenhut hats, cuckoo clocks and Germany’s largest theme park Europa Park. 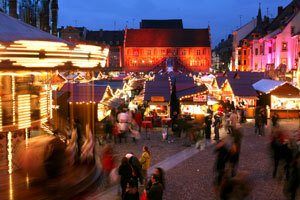 The Alsace region was voted the number one region to visit in 2010 by the travel guide Lonely Planet. Scenic countryside, winding vineyards, picturesque villages such as Colmar and Kaysersberg, the Vosges Mountains, Christmas markets, the European parliament in Strasbourg and Mulhouse provide a rich landscape. In Switzerland, EuroAirport provides quick and easy access to spectacular scenery, the picturesque city of Lucerne, the Swiss capital Berne and the city of Basel, famous for its culture. The Swiss Alps are within two hours’ drive from the airport, providing easy access to world-renowned resorts Crans-Montana, Grindelwald, Interlaken, St. Moritz, Verbier, Wengen, Zermatt and many more. over 190 museums with rare exhibitions ranging from Andy Warhol to Van Gogh, castles, parks and gardens in Germany, France and Switzerland. All three countries celebrate Carnival with large parades being held over several days during February/March. 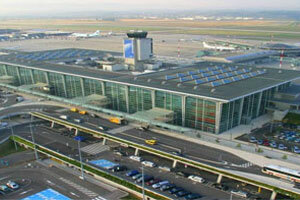 The only bi-national airport in Europe offering the possibility of French (MLH) or Swiss (BSL) traffic rights. At the heart of Europe in the middle of the tri-border region called the Upper Rhine Valley formed by Germany, France and Switzerland and has a GDP of 164.5 millions euro. EuroAirport provides an easy and rapid access to three countries and various business and leisure cities: Karlsruhe, Baden-Baden and Freiburg in Germany, Strasbourg, Belfort, Besançon, Colmar and Mulhouse in France and Basel, Berne, Lucerne and Zurich in Switzerland. 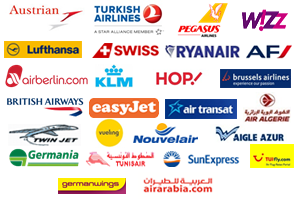 In addition to a competitive package with reduced airport charges for three years to routes serving new destinations, incentives and volume rebates, EuroAirport offers comprehensive PR and promotion support. Market information: statistics and market analysis on request. 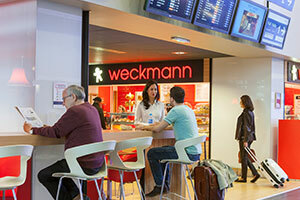 Start-up support: reduced airport charges for three years for routes to new destinations. Special start-up conditions for new regular connections to Scandinavia, Eastern Europe, the Balkans and for long haul to North America, the Middle East and Asia (please see Airport charges manual). 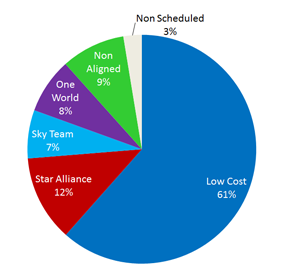 Competitive airport pricing structure with incentives and volume rebates on charges. 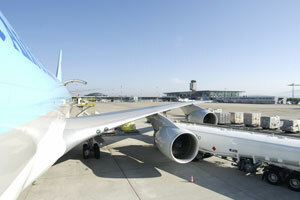 An airline may sign a Loyalty Contract with the Airport Authority. PR support: inaugural event for passengers, VIPs, press, the travel trade etc. 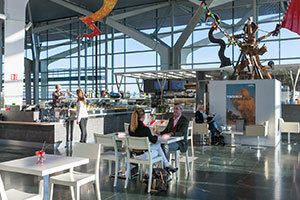 Promotion in the EuroAirport newsletter to the Travel Trade. Support for press or fam trips. 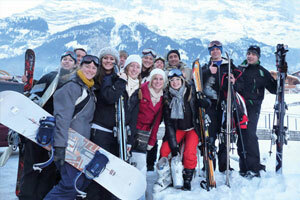 Tours for visiting press, tour operators, travel agents etc. Tourism and trade fair promotion. 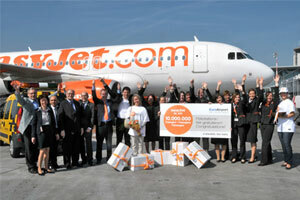 Airport support in promotional events. Located at the borders of three countries in the heart of Europe, EuroAirport has a catchment area encompassing 6.5 million people in one of Europe's wealthiest areas. 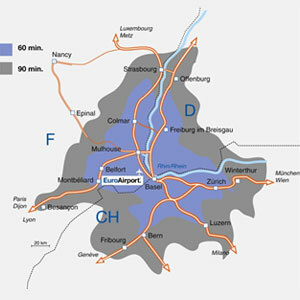 Basel Mulhouse Airport, situated at the heart of Europe, has a catchment area which covers three countries France, Germany and Switzerland with a total of 6.5 million inhabitants within 90 minutes of the airport. 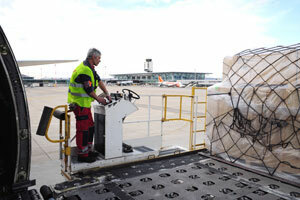 EuroAirport's central location in continental Europe and flexible French/Swiss customs make it an ideal, uncongested airport for freight operations. 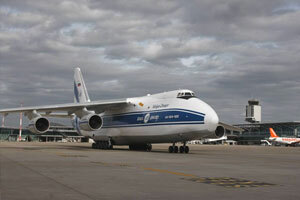 The local pharmaceutical industry also has its temperature-sensitive freight needs catered for at the airport. Strong export market to Asia, North America and the United Arab Emirates. 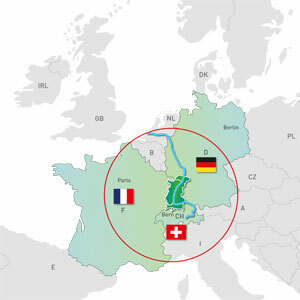 Located at the Swiss/French/German borderlands, EuroAirport provides fast and easy access to both road and rail networks across all three countries. 10 minutes from Basel (CH), 25 minutes from Mulhouse (FR) and 50 minutes from Freiburg (DE). 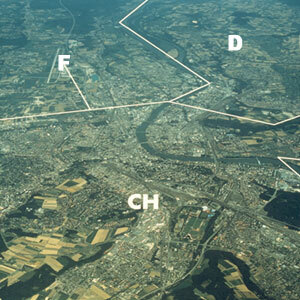 Direct airport access to French and Swiss motorway networks. 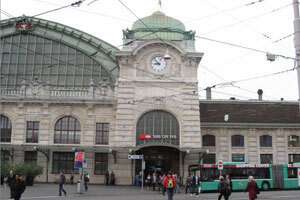 Shuttle service to Basel train station with connections to Berne, Lucerne and Zurich. 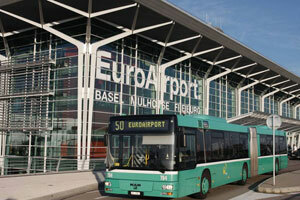 EuroAirport is an official train stop in the Swiss Railway network, enabling the purchase of through-tickets that include the shuttle bus service. Shuttle service to Saint Louis train station with connections to Mulhouse, Colmar, Strasbourg, Belfort and Besancon. 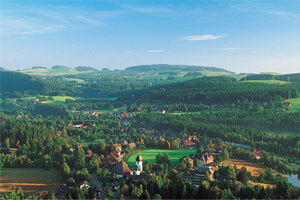 Direct bus service to Freiburg. 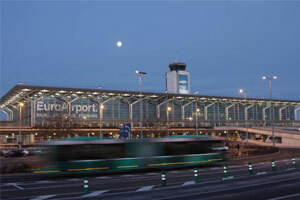 A healthy mix of airlines serve EuroAirport's modern facilities. With terminal capacity to handle up to 10 million passengers and no slot coordination, the airport provides plenty of room for growth. 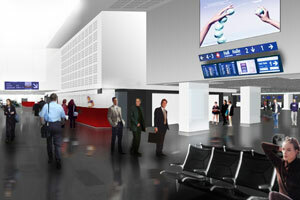 2010 – 2012: The airport recently completed a €5 million in terminal refurbishment projects. 2010 – 2014: Investment of €42 million in a new cargo area to fulfil the needs of the pharmaceutical industry with temperature controlled facilities and optimise current business processes. 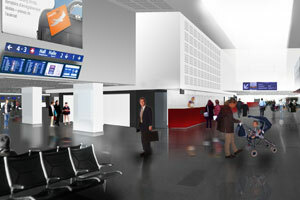 The existing modern terminal infrastructure has capacity for 10 million passengers and the airport recently completed a €5 million terminal refurbishments.